The Community Preventive Services Task Force now recommends clinical decision-support systems (CDSS) for prevention of cardiovascular disease (CVD), as evidence suggests it is effective at improving screening for CVD risk factors and practices for CVD-related preventive care services, clinical tests, and treatments. 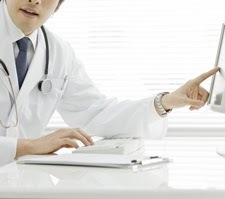 CDSS are computer-based information systems designed to assist healthcare providers in implementing clinical guidelines at the point of care. They can provide reminders for screenings, assessments of patient risk for developing CVD, recommendations for treatments to prevent CVD or behavior changes to discuss with patients like quitting smoking or increasing physical activity and alerts when indicators for CVD risk factors are not at goal. Read the full Task Force Finding and Rationale Statement for more detailed information on the finding, including implementation issues, potential benefits and harms, and evidence gaps.